This video demonstrates the Jungle DnB loop by our very own Dj Puzzle (founder of this iOS music app blog). 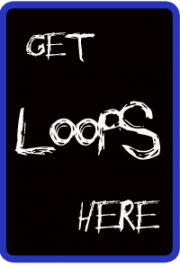 These loops are available in the LP-5 iOS app “in app” store. LP-5 is a 5-track loop player for iOS. Designed for live arranging and remixing, LP-5 allows you to play audio loops from an intuitive launch grid, while automatic tempo synchronization keeps you in time with the beat. Real-time time-stretching, IAA effect hosting, and MIDI connectivity make LP-5 a powerful tool for your studio sessions, live performances, or DJ acts. – Five individual tracks that synchronize to the current tempo, without affecting the pitch. 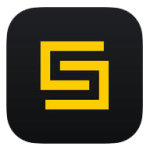 – In-app store offering royalty-free sound packs. – 2 IAA effect slots (Bus A/B). – IAA timeline sync support in both node and host mode. – MIDI clock sync/generate support to play along an external MIDI sequencer, drum machine, or DAW. – Scene launching from a MIDI keyboard. – Mixer control via MIDI CCs. – Hands-free scene trigger, tap tempo and start/stop by using a MIDI foot pedal. – MIDI message routing to and from class-compliant USB hardware, other apps, and WLAN or Bluetooth LE wireless peripherals.